The size of the 2 bedroom apartment was amazing. Really comfy and spacious. Location is spot on. Shop downstairs. 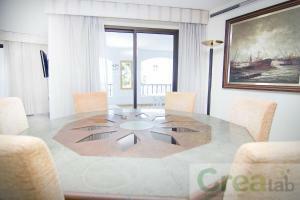 Location is superb and apartments, although a little ‘tired’, are vast! The mattress was very comfortable and the towels and bedding were very soft. The whole apartment was excellent, we stayed in a 3 bedroom apartment as we were on a hen do! The rooms had plenty of character, some may say outdated (but I don’t agree at all, the rooms were stunning!!) Always received clean towels and made beds etc. The reception staff were absolutely fantastic and hilarious! Made our stay extra special! I would definitely return!! 10/10!! Very large and comfortable apartment. Excellent location for bars and restaurants in and around the port. The location, size and helpfulness off the staff. 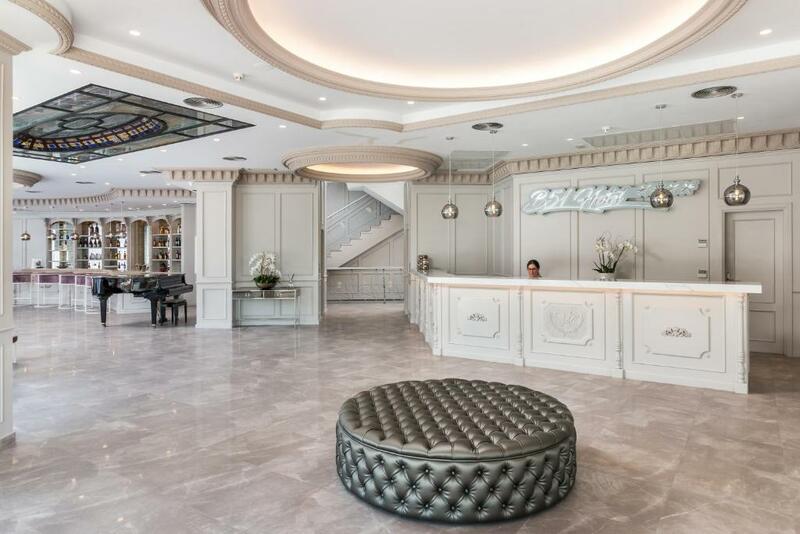 One of our top picks in Marbella.Set right on Puerto Banús Harbour, this stylish aparthotel offers a hot tub and gym. A private balcony, TV and modern kitchen can be found in each spacious apartment. The Park Plaza Suites Apartamentos have elegant modern décor and air conditioning. They include a lounge-dining area with a sofa bed. Kitchens come with a dishwasher and a washing machine. The complex is surrounded by the fashionable shops and bars of Puerto Banús. Nueva Andalucia Beach is 150 yards away. You can hire a car from the 24-hour reception to explore the Costa del Sol. Park Plaza Suites Apartamentos has been welcoming Booking.com guests since 25 Jul 2011. 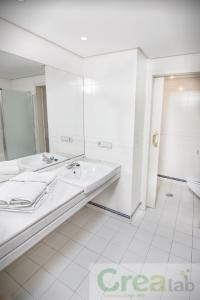 When would you like to stay at Park Plaza Suites Apartamentos? This spacious air-conditioned apartment includes a well-equipped kitchen with a dishwasher and washing machine. Public parking is possible on site (reservation is not needed) and costs EUR 29 per day. This spacious air-conditioned apartment includes 2 bedrooms and a well-equipped kitchen with a dishwasher and washing machine. This spacious air-conditioned apartment offers direct sea views. It includes a well-equipped kitchen with a dishwasher and washing machine. This spacious air-conditioned apartment has 2 twin bedrooms and 1 double room. The well-equipped kitchen includes a dishwasher and washing machine. 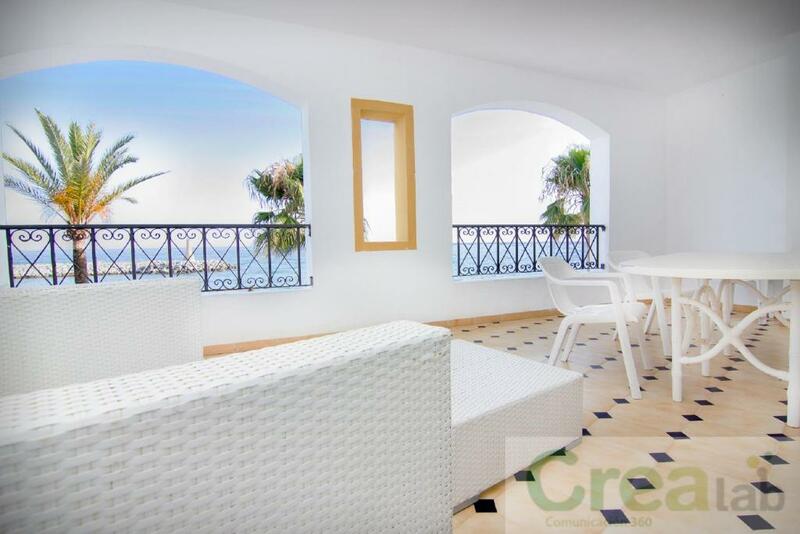 Offering sea views, this spacious, air-conditioned apartment has 2 twin bedrooms and 1 double room. The well-equipped kitchen includes a dishwasher and washing machine. Lujosos apartamentos de 1 a 3 dormitorios, que van desde los 125 hasta los 200 metros cuadrados. Todos ellos ofrecen fantásticas vistas panorámicas del Mar Mediterráneo sin escatimar en detalles. Situado entre Marbella y San Pedro de Alcántara, en Málaga (España), Puerto Banús se ha convertido, desde que fue inaugurado en mayo de 1970, en uno de los mayores centros de entretenimiento de la Costa del Sol. El Hotel Park Plaza Suites se encuentra ubicado dentro de la Urbanización Benabola, a escasos minutos a pie del puerto, y es conocido como el hotel por excelencia de esta zona residencial. El particular clima de Marbella, protegido por el Cordón Montañoso Litoral de la Cordillera Penibética, hace que goce de un microclima que origina una temperatura media anual de 18 °C, lo que sin duda ha contribuido a su ascensión entre los lugares más exclusivos del mundo. 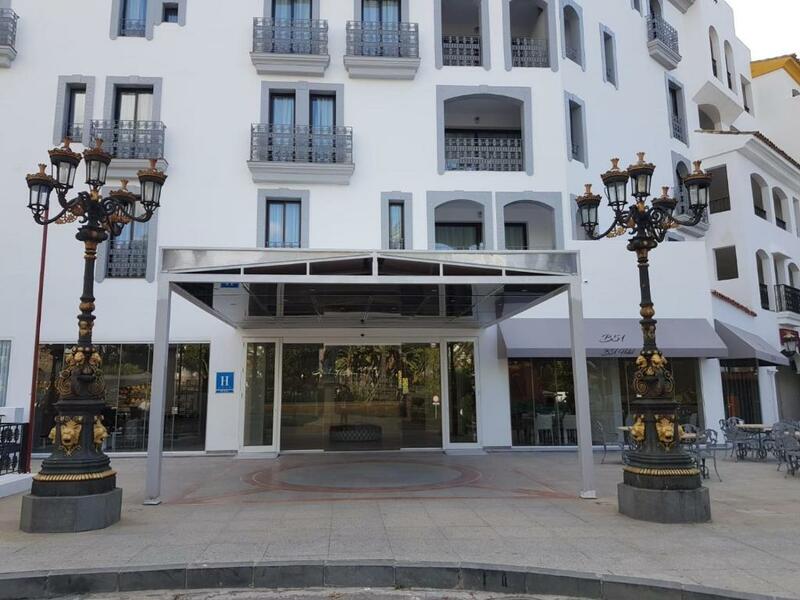 Así, tanto su localización geográfica como la presencia habitual de numerosos personajes populares, provocan que Puerto Banús reciba una media anual de 5 millones de visitantes. WiFi is available in all areas and costs EUR 12 per 24 hours. House rules Park Plaza Suites Apartamentos takes special requests - add in the next step! A damage deposit of EUR350 is required upon arrival, which is about GBP302.49. This deposit is fully refundable 7 days after check-out as long as there has been no damage to the property. Park Plaza Suites Apartamentos accepts these cards and reserves the right to temporarily hold an amount prior to arrival. A damage deposit of EUR 350 is required on arrival. That's about 302.49GBP. This will be collected by credit card. You should be reimbursed within 7 days of check-out. Your deposit will be refunded in full via credit card, subject to an inspection of the property. Slight negative was the noise outside but after earplugs were purchased it was no problem. The shutters kept the bedrooms dark. The rooms were cold, the beds hard. When we came one room was not cleaned and it was under construction. The staff was not so nice and definetely not welcoming. The shower temperature control was poor and the apartment became very warm very quickly with the doors closed. Wish we’d requested a better sea view, our friends view was amazing!! Location perfect and the room's are huge. Overall looks jaded. No hairdryer. Kettle didn’t work properly.